Congress also created a new banking system during the war, by the National Currency Act of 1863. This did not establish a fully central bank, but it did wipe out state bank notes and for the first time established a uniform national currency. The Union government also borrowed some $2 billion to finance the war, creating a huge capital market in bonds and a new class of financiers. In order to pay for war needs, Congress authorized $500 million in paper money not redeemable in gold or silver. These “greenbacks” were legal tender for all debts and contributed to a wartime inflation that raised prices by 80 percent. The Supreme Court in 1870 held that Congress could not make them legal tender, but then reversed itself in its next session. Farmers and debtors clamored for more inflationary paper-money currency issues, but Congress did not respond. By 1879 the greenbacks could be exchanged for gold at face value, and the late nineteenth century saw deflation as the value of money increased. Congress also provided land grants and loans to several companies to build railroad lines to the Pacific, the Union Pacific and Central Pacific railroads linking up in 1869. Even more than the tariff and banking, railroads were accused of corrupting government by robbing the public for the enrichment of their politically-connected promoters. Several state courts held that railroads were not genuinely “public” enterprises for which states could levy taxes and tried to repudiate bonds issued for their promotion. But the Supreme Court upheld that constitutionality of both state and federal railroad promotion. By the 1870s, public reaction to the excesses of internal-improvement schemes ended government railroad promotion. States then attempted to rein in the railroads, especially to protect local shippers from what they regarded as exploitative rates of foreign monopolies. The Supreme Court struck down these acts as interfering with interstate commerce. This gave rise to the first federal regulatory agency, the Interstate Commerce Commission. The Interstate Commerce Act (1887) was a futile attempt to promote competition in what was essentially a public utility. The act sought to provide lower rates where railroads had no competitors, but forbade the railroads to limit competition where they did compete. It was also a constitutional anomaly, appearing to combine legislative, executive, and judicial powers. The federal courts thus kept it from setting rates, and it had little impact in the nineteenth century. Congress also used the vast western public lands to promote homeownership in the Homestead Act of 1862. Congress also used the vast western public lands to promote homeownership in the Homestead Act of 1862. Any loyal adult could receive 160 acres of public land if he settled on it for five years and improved it. A million and a half people acquired homes by this Act. The Morrill Land-Grant College Act gave federal land to the states to establish colleges, especially for agricultural and mechanic arts. In 1887 Congress began to provide cash grants rather than land, and in 1890 the Second Morrill Act began to attach conditions to the grants. The Civil War also gave rise to the U.S. Department of Agriculture, the first client-oriented federal agency, though it was slow to expand its functions beyond data gathering and dissemination of information. The Supreme Court in 1895 insisted that corporate activity must be genuinely interstate and genuinely commerce—the activities of manufacturers within the states were not held subject to national regulation. This effectively killed the antitrust act, and the U.S. economy experienced a great concentration of industry around the turn of the century, exemplified by the 1901 formation of U.S. Steel, the first billion-dollar corporation. Labor unions were another popular response to the rise of big business. Labor organizations tried to form organizations of workers who would counter the great market power of employers—to agree to reduce output (hours) and raise prices (wages). Workers were too numerous to establish successful cartels and so resorted to strikes, which had the effect of eliminating competition from workers not in the union. State and federal courts countered the use of strikes by issuing injunctions—court orders to strikers to stop interfering with an employer carrying on his business. The most famous injunction was used against Eugene Debs in the Pullman strike of 1894 and upheld by the Supreme Court the following year. Unions also found themselves liable under the Sherman Antitrust Act. As they entered the twentieth century unions would take action politically to escape these restrictions. 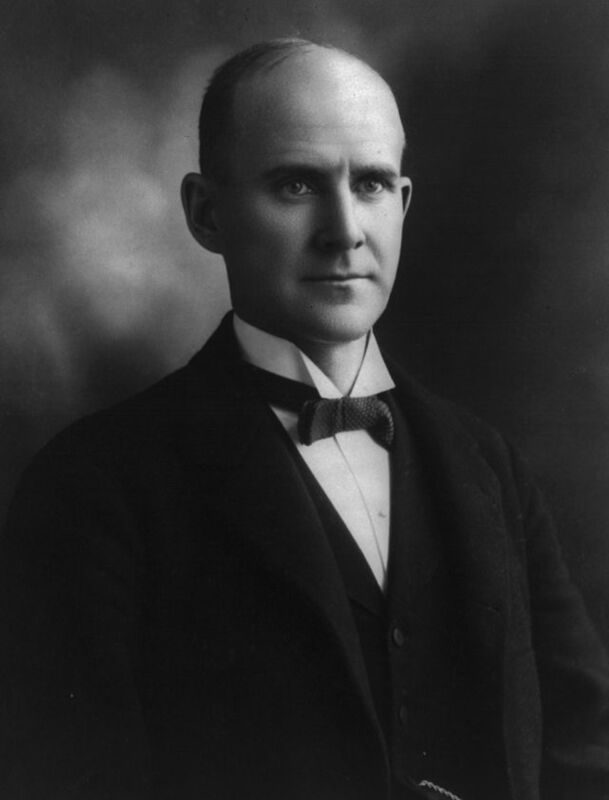 The most famous injunction was used against Eugene Debs in the Pullman strike of 1894 and upheld by the Supreme Court the following year. Southern and western complaints about the post-Civil War political economy coalesced in the Populist party in southern and western states in the 1890s. A national “People’s Party” was organized in 1891. The party demanded free trade, inflation by the coinage of silver, public ownership of railroads and telegraphs, and a progressive income tax. They denounced court injunctions against the power of labor organizations and the federal judiciary’s protection of property rights—especially when the Court held the 1894 income tax unconstitutional. Nearly all of what would come about in twentieth century progressivism and modern liberalism can be found in the Populist demands. In 1896 the Democrats repudiated their incumbent President Grover Cleveland, who had defended the gold standard and broken the Pullman strike, and fused with the Populists. Their nominee, William Jennings Bryan, campaigned on the “free silver” issue, insisting that the federal government inflate the money supply by adopting an unlimited coinage of silver at a 16:1 ratio to gold. But William McKinley and the Republicans prevailed and the U.S. adopted a purely gold standard in 1900. The Constitution’s protection of property rights facilitated the great industrialization and urbanization of the United States. For all of human history, labor-intensive agriculture meant that no more than about 5 percent of the population could make a living other than by farming. Industrial production reversed this; now less than 2 percent of the population can feed the other 98 percent. The great social effects of these revolutions particularly the rapid change from rural to urban life and the increasing economic inequality between farm and city and within cities, produced calls for government redress. Though the Populists were defeated by the Republican party at the end of the century, their concerns for marginal farmers and the urban poor would continue to shape calls for reform of the political economy in the twentieth century.